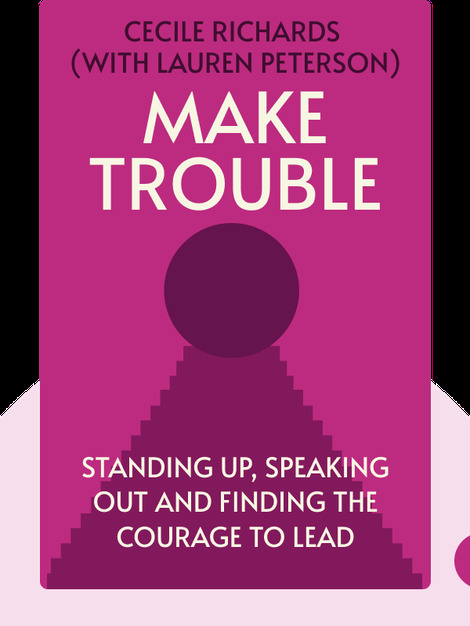 Make Trouble (2018) is the inspiring memoir of maverick and activist Cecile Richards – a woman who’s spent her life standing up for what she believes in. Never one to shy away from a fight, Richard’s mantra is simple: if you want to make change, you have to make trouble. 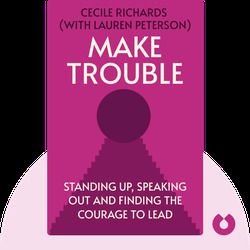 An instant bestseller praised by Hillary Clinton and Vogue, this fascinating story follows Cecile’s path from her precocious school days during the Vietnam War to her battles with the religious right as president of Planned Parenthood. Cecile Richards was born in Texas and is the daughter of the Lone Star State’s late Democratic governor, Ann Richards. She began her lengthy career as an outspoken activist and union organizer in New Orleans. She later founded the Texas Freedom Network and America Votes and became president of the Planned Parenthood Action Fund in 2006.